Apparently, Easter is second to Halloween as the most important candy-eating occasion of the year. I have read that Americans eat about 8 billion pounds of candy each year and spend almost 2 billion on Easter candy alone! Traditionally, candy and chocolate bunnies are given to children everywhere by the beloved Easter Bunny. 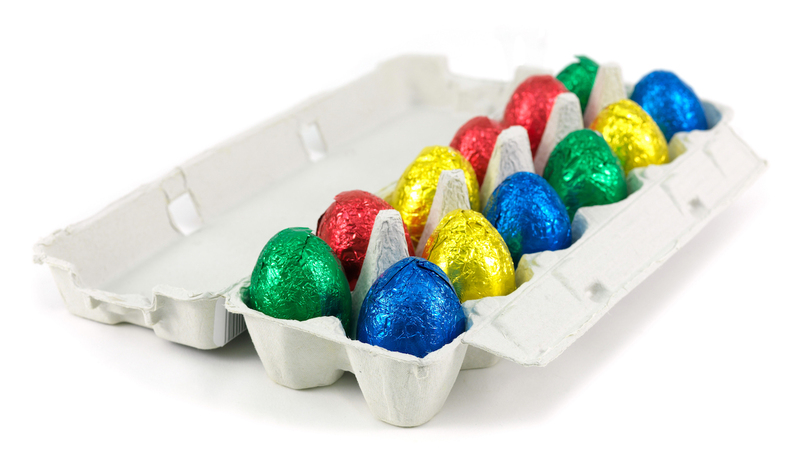 Many receive plastic eggs filled with candies, which are not nourishing to our environment or our children. Non-food items such as creative supplies … consider art kits, coloring books and beeswax crayons or colored pencils, a paint set, jewelry making kits, a gardening kit, a model car or airplane kit. And/or small stuffed animals, seeds that can be planted, organic homemade craft dough … homemade bubble bath. You may read more ideas posted on this original Facebook post. If you are celebrating Easter with Easter Baskets, I’d love to hear what you will fill them with in your house?! Seeds, gardening gloves, and gardening tools! I love it – gardening theme for Spring — sound very apropos to me on so many levels! We fill baskets with Art Supplies, little craft projects, a new game, or something small they’ve been wanting and trying to save their money for. We DO put treats, but I personally don’t feel like a holiday is any reason to stray from our family’s beliefs about nourishment and honoring our bodies.. what I teach my children isn’t good for their bodies, does not become a “treat” because of a holiday- it’s still not good for them. Those are just my own families beliefs.. we DO have fun, and we do Treats. I am making Maple Nut Butter Candies (similar to a tootsie roll or caramel) and I buy 85% Organic Dark Chocolate w/ no Soy Lecithin. My 4 children LOVE these treats- and they *are treats in our home. They love their non-food treats as well. And we make a treat as a family- wether cookies, a pie or tart, or a cake. No, junk won’t kill my children once or twice a year- but where does the line get drawn (when teaching children to think and act for themselves) there’s never just once or twice- ..there will *always be times to say “it’s ok, its a holiday- it’s a birthday, it’s a special occasion, we have family in town, we’re on vacation, It’s a tradition, just this once won’t be too bad”, etc.. For my husband and I, consistency is what will help our children make more nutritious choices as they grow up, and hopefully use their free agency to make the choices we’d like them to make with regards to food- and teach their own children some day.) This may sound ridiculous or harsh to others, but it works well for our family- and my children would say the same thing, believe it or not. Thanks for this post, Tandy! 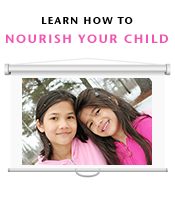 I envision other families will be inspired by your consistency and commitment! I am. I decided against candy in the eggs this year. They just found out a couple of hours ago and one of them was disappointed (they’re 4 and 6 year old boys), but I explained that it’s all junk I just like to throw away anyway, and I still got them each a small chocolate bunny for their basket. I told them I may have gotten them an extra gift for their basket and to be grateful for any gifts they receive. I got them both things they have really wanted/specifically asked for recently: Pokemon cards, Ninjago sticker books, the chocolate bunnies, darth vader electric toothbrushes, and then one boy got a jumprope while the other got a bug keeper/bug net. I’d rather spend a few extra dollars and give them more than I normally would in their basket than fill up the eggs with candy I dread them eating! Bravo! Sounds like wonderful alternatives to me! A friend of mine puts all the positive ways she’s seen her son growing during the year (usually school) year on paper. Then she cuts them up into individual comments and he hunts for those each year. We’re doing ten traits each for our four children (each gets a different color egg so there’s no confusion – these are eggs we’ve had for 5-10 years. I just save them). Kids love to be praised and I like the theme of how we’re seeing them grow just like we’re seeing all the leaves and flowers grow around us. It also reminds us (for we are Christians) of the way Christ is reflected in the character of our kids. Trish, I love, love, love this idea! Thank you so much for sharing it with us all! I wasn’t going to do baskets or egg hunt this year, but last week grandma announced that she bought eggs to hide. I’ve been gently steering her in the direction of real food, so she let me pick things to put in the eggs. I’m going to use pecans, hazelnuts, stickers and some quarters and dimes. The egg hunt at church is going to be the hard part. I bought a soy free 85% dark chocolate bar and am going to trade her for all the junk candy she gets in the eggs. I’m sure some of it will make it past her lips before I get the opportunity to trade, but I’m going to do the best I can without being crazy. I want to be really careful of making anything strictly forbidden, for fear of her retaliating/rebelling when she gets old and has the chance. (btw- She’s 3) I’m trying my best to explain everything to her about why we eat what we do, and why we don’t eat what we don’t. It’s hard at such a young age, though. I love the idea of planting things! I always do sidewalk chalk and bubbles or sand box toys. This year I will also do home made peeps or almond cookies. And don’t forget the real eggs! Hard or soft boiled eggs from pastured chickens who are getting the spring greens and bugs! I love all your ideas and they are still wonderful in 2016. Just a note about Stockmar “Beeswax” crayons – they have very little beeswax in them. 10% in fact. They are made from the same paraffin junk that a lot of other crayons are made of. You should consider Filana. Made in the USA……25% beeswax and NO petroleum based products.